It’s fair to say that the Diamond Jubilee brought out some of the best in British. Once again, Britain was covered in Bunting, London was packed with patriotic royalists from all over the world and we were treated to a royal party like no other. It seemed like everyone was in a right royal mood and it was great to see some of our most recognisably British brands getting into the spirit of things on Facebook. 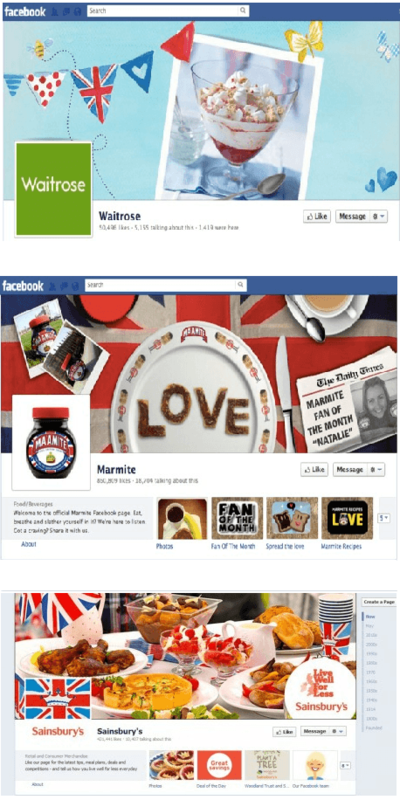 Sainsbury’s, Waitrose, Marmite & John Lewis were just some of the brands that went the extra mile with their Facebook branding this Jubilee, showcasing some fantastic designs that we loved. If you are interested in Facebook & social media branding for your business, get in contact with Innermedia.